Firefighters on Friday responded to a four-alarm fire in San Jose. Ian Cull reports. 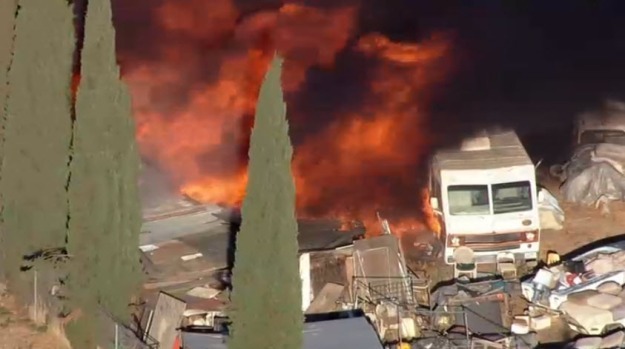 Authorities are investigating the cause of a four-alarm fire that ignited Friday near homes in the San Jose foothills. 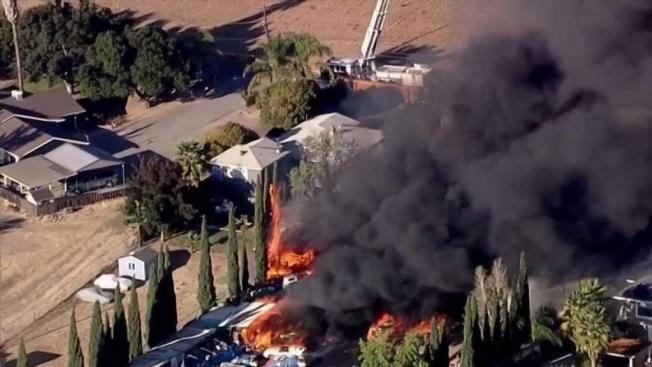 At least 80 firefighters from the San Jose Fire Department, with assistance from Cal Fire, responded to the blaze on the 2300 block of Pleasant Acres Drive, near Klein Road. Flames quickly spread to nearby cars and debris on the property. Thick, black smoke from the blaze could be seen for miles. A home on the property was also seen on fire. Neighbors acted quickly to help evacuate the occupants of the home. Fire officials said two people were displaced from the home that caught fire. A person was injured, but was treated and released from the scene, according to firefighters. Firefighters are expected to be at the scene throughout the night to take care of hot spots. Arson investigators were also called to scene to help investigate the cause.